As kids growing up, my siblings would continually tease me that I would have the most kids, and they would be all boys. Boy boys. Meaning the ones that would come in with ripped jeans, and filthy hands when I rang the dinner bell. They even went as far as symbolically naming one of them Russell, with a nickname of Rusty (which is pretty hilariously ironic considering many years later my last name became Steele). It was like they knew something I didn’t, and I laughed, but believed them. They were, and are my best friends, and if anyone knows you better than yourself, it would HAVE to be your sister and brother. Years later, I met the cutest boy my Freshman year of college. After our first date at the prestigious, impossible to make a reservation at Steak-and-Shake; I just knew. Him and his blue eyes were so handsome, he was polite which I knew my mom would love, opened the door for me of his blue 1998 Saturn, but most of all… felt like home. At the mature age of 18, I didn’t trust many of my decisions; but knew with certainty, he was and always would be a great one. After graduating college and moving to the suburbs, we got married barefoot in the sand in the Dominican Republic in 2006. Like most couples with newly placed hardware on their ring fingers, we had plans for our future. We always said we wanted a kid or two in “maybe 5 years.” Five years flew by, and one summer night cleaning out our 2 car garage, we decided to move to the city on a whim. I started my photography business, and then somehow the next 4 years flew by even faster than the first five. 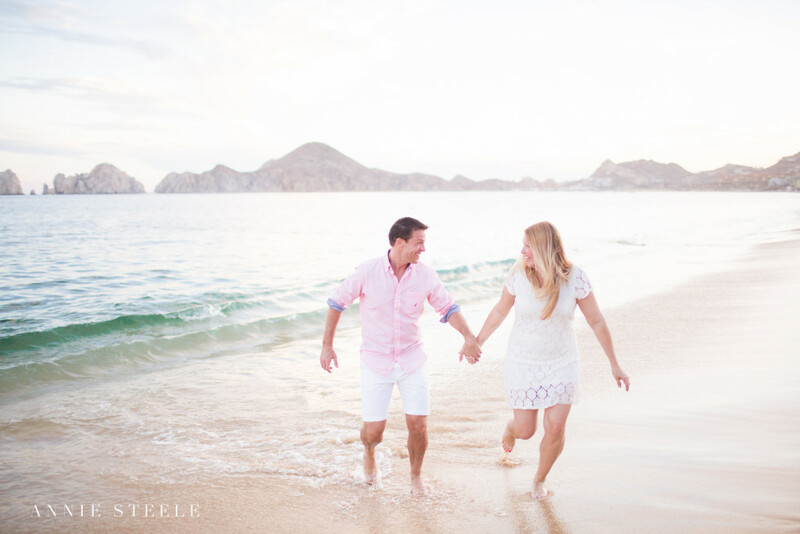 Last week, we flew to Cabo San Lucas, Mexico for a week with 2 of our good friends. On a Tuesday afternoon that happened to be our 9th wedding anniversary, our sweet friends took my camera and took some pictures I will cherish forever. On our anniversary, we celebrated my 20 week baby bump barefoot in the sand… together. Life has been hardly what we planned in our early twenties, and for that, I’m so grateful. Our marriage by no means is perfect, but life together has been one sweet, adventurious ride.